A startling statement? Yet this was the title of an article written by former Kuwaiti Minister of Information, Saad bin Tafla al Ajami, published by the Qatari newspaper al Sharq in 7 August 2014. He was not celebrating the Islamic state of Iraq and the Levant (ISIS), nor the atrocities it is committing against civilians and minorities in Iraq and Syria. He was reminding us that ISIS, while condemned by the majority of Muslims, is a product of an Islamic religious discourse that dominated our public sphere in the last decades – a mainstream discourse! ISIS “did not come from another planet’, He said. ‘It is not a product of the infidel West or a bygone orient”, he insisted. No, “the truth that we can not deny is: ISIS learned from our schools, prayed in our mosques, listened to our media… and our religious platforms, read from our books and references, and followed Fatwas (religious edicts) we produced”. It would be easy to insist that ISIS does not represent the correct teachings of Islam. It would be very easy to do that. And yes, I do believe that Islam is what we, humans, make of it. Any religion could be a message of love or a sword for hatred by the people believing in it. But the fact remains that the actions of ISIS have been ideologically mainstreamed long time ago: in mosques that curse ‘Christians-the Crusaders’, ‘Jews’ and ‘unbelievers’ in every Friday sermons. By religious figures, who greet us every day through TV programs, preaching a message of hatred and intolerance against the ‘other’, regardless of whom this ‘other’ is. In schools that teach us that the penalty for converting from Islam is death; that Christians and Jews are ‘protected people’, who should pay a tax to be left alone or they could face war. The fate of members of ‘other religions’ is left untold, but we can read it between the lines. In these classes we were never taught that a citizen has the right to choose his or her religion, or that a citizen is equal before the law regardless of religion or beliefs. ISIS is the product of our religious discourse – a mainstream discourse. It is a product of a political process. It started with the rise of political Islam’s ideology, propagated since 1973 by Gulf monarchies’ oil money and the Iranian revolution in 1979. It is a product of a political strategy. State leaders take advantage of the phenomenon of political Islam, endorse certain Islamist groups rather than others, and forge political alliances with them. Their aim is political: to legitimize their rule in a religious sense or/and delegitimize that of their rivals. The Machiavellian alliance comes with a price tag. In exchange for their support, Islamist groups are allowed to dominate the religious discourse with their ideology of hatred, exclusion, and intolerance – mosques, media and schools become a field to spread their ideology. It is a product of political failure. States fail to fulfil their side of the social contract, unable to cover their citizens’ essential health, education and social needs. Islamist groups, flushed with money, fill the gap – with services packed in their ideological worldview. 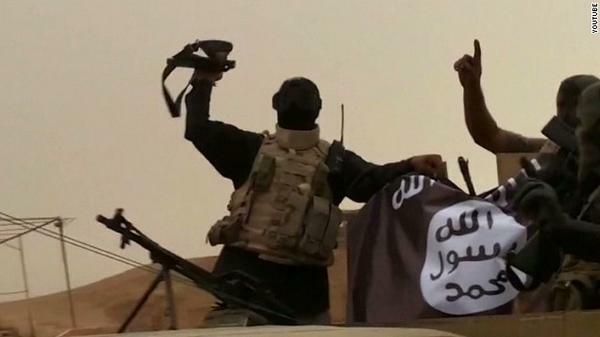 It would be easy to insist that ISIS is a product of a foreign conspiracy. But even as we bury our heads in the sand, there is no hiding from the fact that ISIS is indeed our product. We mainstreamed it. And yet we seem surprised that it took the words of our religious discourse literally. Seriously? Without acknowledging our responsibility, we will continue business as usual. Mosques will continue to curse the Jews, Christians and unbelievers every Friday. Preachers will continue to great us with their message of intolerance. And schools will continue to teach us that religion is the main marker of both identity and citizenship. Just pause and think, ask yourself: How many women have been suppressed in the name of our religion lately? How many Pakistani Christians or Ahamadis have been targeted lately? How many Churches have been attacked in Indonesia and Nigeria? How many Egyptian Copts have been evicted from their villages? Their houses and shops torched? How many Sunnis are killing Shiites? How many Shiites are killing Sunnis? How many Baha’is have been brutally supressed in Iran? And how many British citizens have joined ISIS? It would be easier to look the other way. It would be easier. But if we continue to blame the others, insist on our inaction and silence, it is we, we, no one else, who is letting our religion be hijacked by this fundamentalist interpretation of Islam. ISIS is within us. It is time to face the ISIS inside of us. This entry was posted in Ahmadiyya, Christian, Human Rights, Minorities, Muslim, World, Yazidi and tagged Egypt, Elham Manea, Iraq, ISIS, Middle East, Syria by BlogGMA. Bookmark the permalink. Reblogged this on Bowen Island Report. The problem is greater than hijacking Islam for politician purposes. It’s about all religions that foster hatred, a world view of us-versus-them and an intractable “prescription” for living—and forging fulfilling relationships across communities that benefit from diverse perspectives and foster peaceful coexistence. The problem has existed for a long time within Islam—before the ’70s. It has just been exacerbated over the past 30 years. JGT you are wrong. not all religions. Christianity never fostered hatred. Al, you should take a long hard look at the history, also the most recent one, of the church. This coming from a Chtistian. Absolutely in agreement. I have many muslim freinds and spent a lot of time in ME but the religious and political leaders have a lot to answer for. Time will come when they will have to close the mosques. Read this article. ISIS is inside us. Fascinating read and very accurate.